A little over a week ago I had the opportunity to participate in the historic $25,000 PokerStars No-Limit Hold'em Players Championship in the Bahamas. While I didn't win a Platinum Pass, I did manage to sell action to participate in the 1,039-strong field. 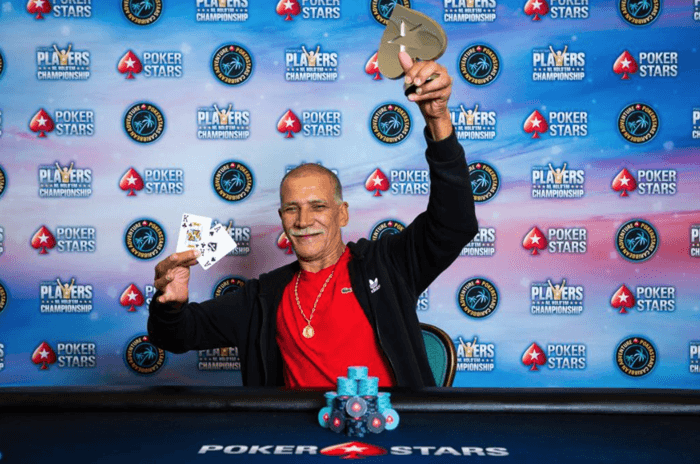 I was truly honored to compete, and even though things didn't go my way in that event, I thought I'd share some hands from the PSPC as well as a couple of other tournaments I fired during this year's PokerStars Caribbean Adventure series. The PSPC was a special affair. You could feel the excitement and energy in the air. I initially thought I had a kind table draw with only one superstar name — Canada's Mike Watson — and a trio of Platinum Pass winners. However, I'd soon discover by plugging each of them into Hendon Mob that everyone but one of them had more in career earnings than me. It was going to be tougher than I expected. Admittedly, three-betting is an area of my game that I need to work on. Simply put, I need to start three-betting more, and I knew I'd need to do a lot of it in this tournament if I were to stand a chance. In Level 1 (100/200) I put in a three-bet to 1,600 holding in the cutoff over a 600 open from France's Jean Rene Fontaine, one of the Platinum Pass winners. "I wish I would've found the third barrel, but my read on the turn was Fontaine was prepared to call down." He called and then check-called my continuation bet of 1,500 on the flop. Fontaine then checked for the second time on the turn and I decided to fire again with my flush draw. I upped my bet to 4,500 and Fontaine wasted little time in calling. The river was a brick and Fontaine checked yet again. I wish I would've found the third barrel, but my read on the turn was Fontaine was prepared to call down. He seemed intent on not being pushed around so I checked behind and lost when he rolled over . I was surprised he stuck around on the turn, but he did and I found myself in a little bit of a hole. I hung around with a stack of 40,000 until the last level of the night with the blinds at 500/1,000/1,000. 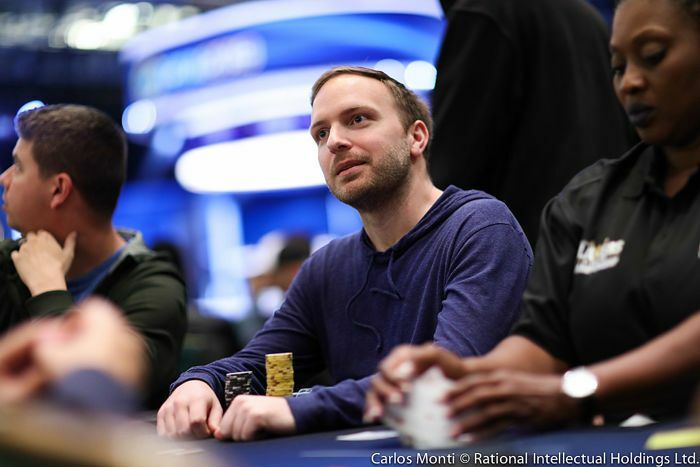 Losing with two pair to a rivered straight knocked me down to around 20,000 which is when I decided to take a stand in a hand against Mike Watson. Watson had been rolling most of the day and for the third time in an orbit put in an opening raise. I three-bet jammed from the button with , both blinds folded, and Watson snap-called. I knew I was in trouble even before he tabled . The flop paired my queen, but that was all the help I'd get as the turn and river gave me an inferior flush. Just like that it was all over. The next tournament I played was the $550 NLH Single Re-Entry, which drew 182 unique players who rebought 38 times (I was not one of them). The 220-entry field created a $106,700 prize pool and I was fortunate enough to make it into the top 31 and the money. Actually, I managed to make the first pay jump before I clashed once again with Fontaine. You see, he was the chip leader at our table on the bubble, which burst when he eliminated the second biggest stack. That gave him a massive lead while the rest of us sat with shoving stacks. Before long, I looked down at and shoved from late position. Fontaine was in the big blind and had an easy call with . I was in a bad spot but got lucky when the flop paired my king to give me the lead. The turn all but ensured me the double, but once again the Frenchman had my number as the case jack — the — spiked on the river to give him the one-outer and send me to the rail in 27th place for $1,040. Fontaine went on to win the whole thing for $22,540. That river stung, but it's important to remember I got it in as a big underdog and got lucky myself. Easy come, easy go as they say. It may not have been a huge score, but I was pretty excited that I notched a new flag on Hendon Mob. 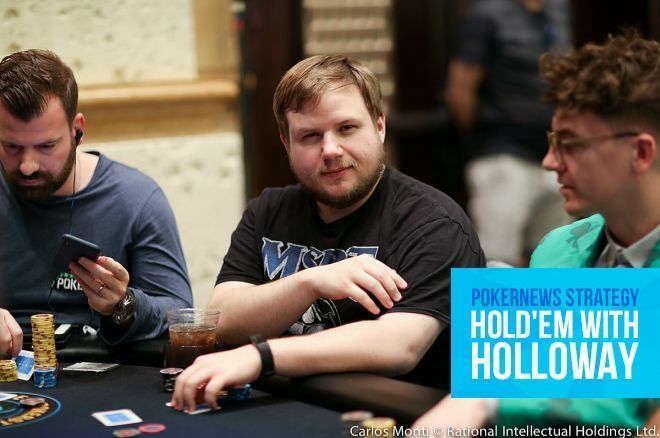 The following day I played the $330 Pot-Limit Omaha event and busted midway through the tournament, which coincided with the start of a $330 NLH Turbo event. That evening was the PCA comedy show featuring Norm MacDonald, and I was very much looking forward to attending. I thought I'd jump in the turbo, have a few drinks, and get loosened up. I wound up firing two bullets in the turbo, but fell short of the cash, though not without catching a buzz. The comedy show was still a couple hours away and that is when I made a bad decision. The $2,200 NLH Turbo Bounty — which awarded $1,000 for each player eliminated — was still open for late registration and I jumped in it with 20,000 in Level 7, which I believe was 300/600/600. This was not me practicing bankroll management, but rather me giving into that "drunk gamble." It's dangerous and I don't recommend it. Fortunately, on this occasion, it worked out. Before long I got my stack in preflop holding against . , and . I flopped a nine to eliminate the short stack for $1,000 while doubling through the other two. "I was relieved that I at least made money and didn't just blow $2,200 by late registering a turbo tournament." That gave me a nice stack and I coasted into the money from there. That is when I shoved 10 bigs with and a player with eight bigs called off with . The board ran out and I straightened him out for another $1,000. Down to 16 players, I had my eyes on the $52K first-place prize, but it was going to take a lot of luck to get there. At that point, almost everyone's stack was under 15 bigs so it was a no brainer for me to jam my last 12 BBs holding . "Is it any good?" Natasha Mercier asked after it folded to her in the big blind and she flashed me the . "It's really good," I said. She peeked at the ace and called without even looking at the other card, which turned out to be the . It was a flip and while I held on the flop, the dealer burned and turned the to drive a dagger through my heart. The river was a brick and I had to settle for 16th place for $3,020 in prize money. Obviously, I wish I'd won more, but honestly, I was relieved that I at least made money and didn't just blow $2,200 by late registering a turbo tournament. So that was my 2019 PCA experience. I got the chance to play in an event that will go down in poker history, cashed in some side events, and played against some of the game's best including Will "The Thrill" Failla, John Andress, Randy Lew, and Jose "Nacho" Barbero.